The City of Gardens had been staged for the ultimate display of glamour. The classic Pakistani glitz had hit the ramp with Pantene Hum Bridal Couture Week 2017. 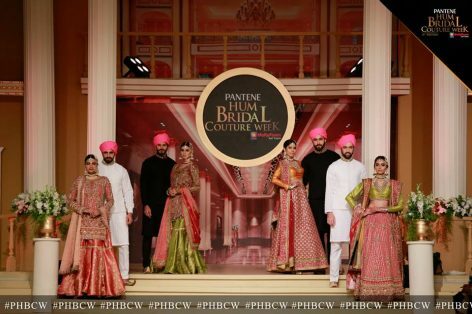 That’s right, the event we all have been anticipating for months, came with the most dazzling spectacle of colours and beauty. 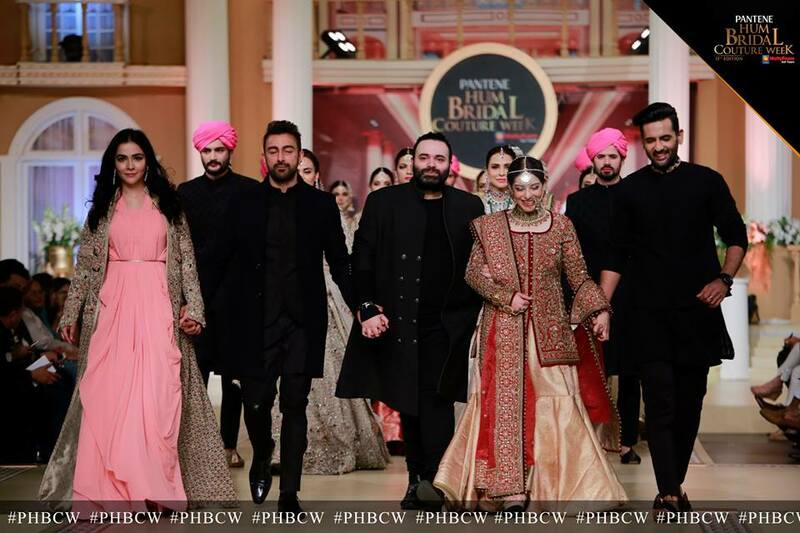 The show took a startling start with the very first day, organized on December 8, 2017. 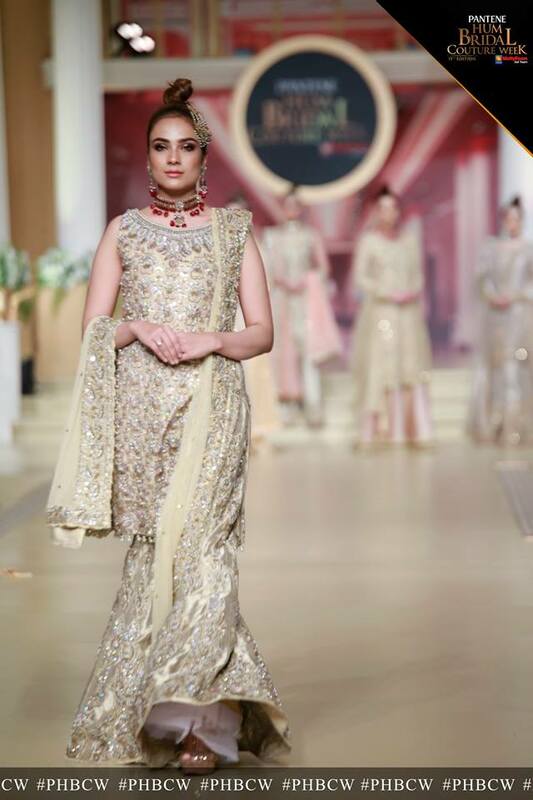 The extravagant bridal couture event was styled under the expertise of Pakistan’s most talented stylist Nabeela and it was choreographed by none other than Vaneeza Ahmed Ali. 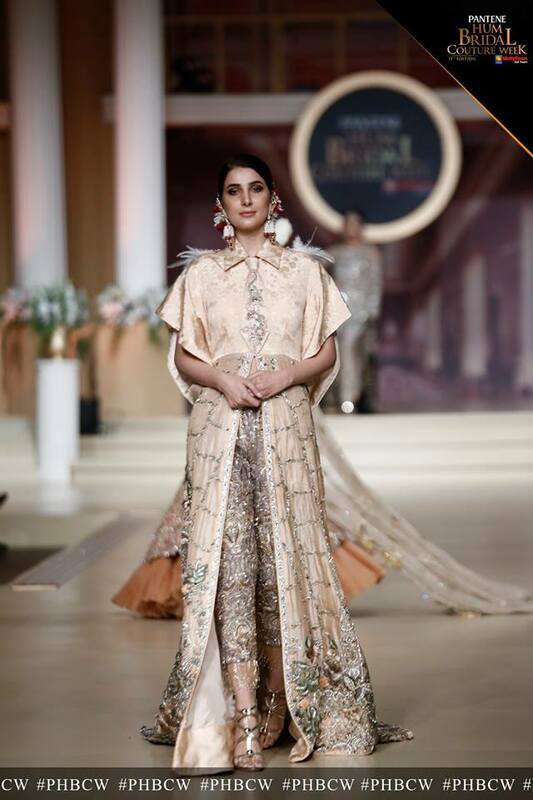 The mesmerizing jewelry was sponsored by Hamna Amir. Besides the great fashion, creative designing, pretty models, people also got to see their favourite television stars on the show. 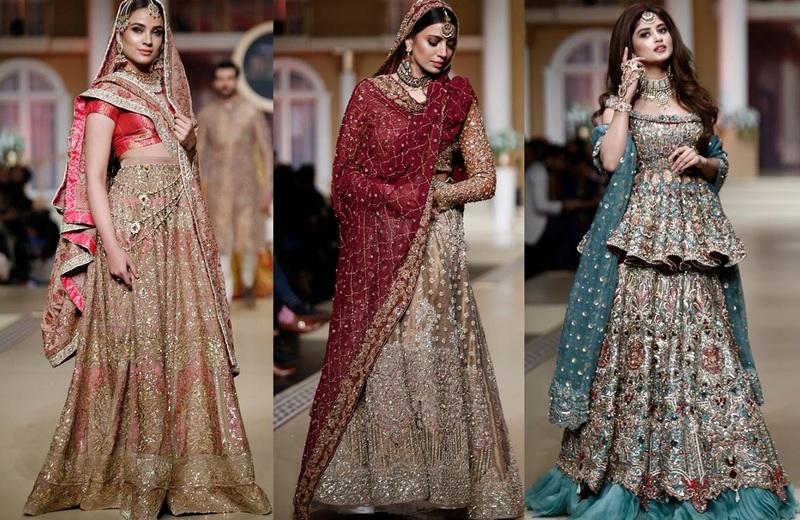 Dressed in the most elegant dresses, they didn’t only flaunt their style but spread the magical charms of their personality all in the air. 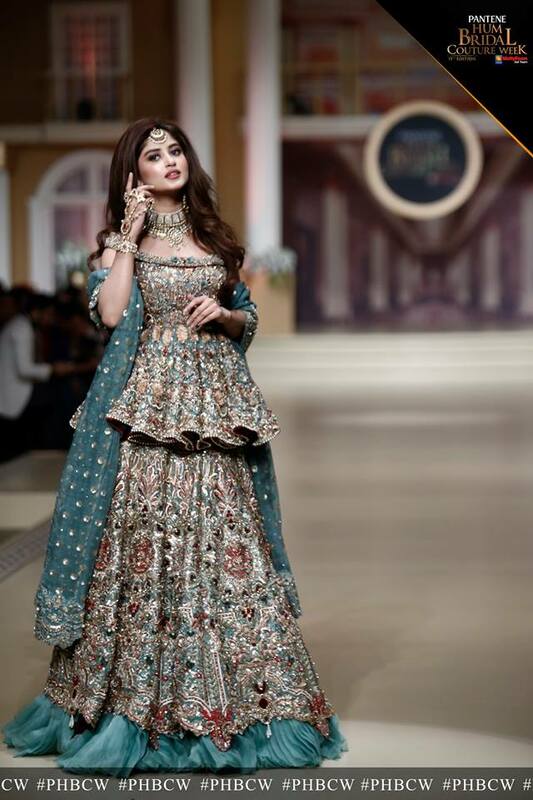 “Sajal Ali’s” gorgeous outlook on the day needs a special mention here. What else made this day inspiring, is a story we are about to unveil. 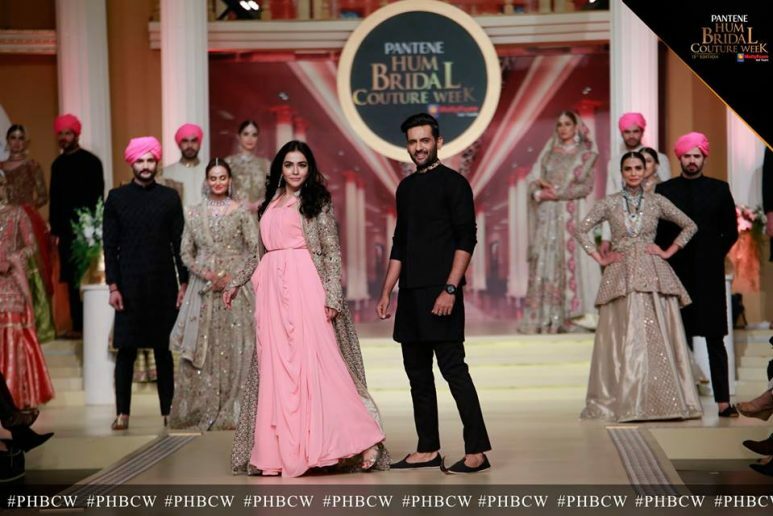 So keep scrolling and find the best of the work presented by Pakistan’s finest fashion artists in Pantene Hum Bridal Couture Week. 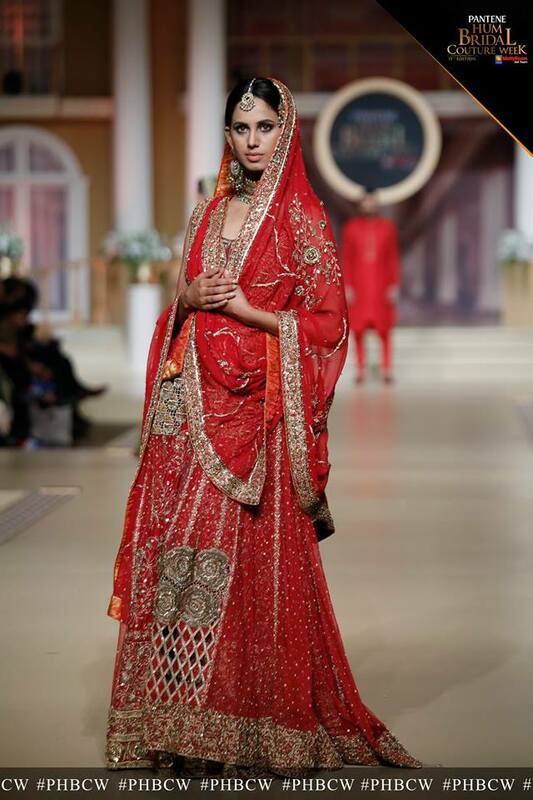 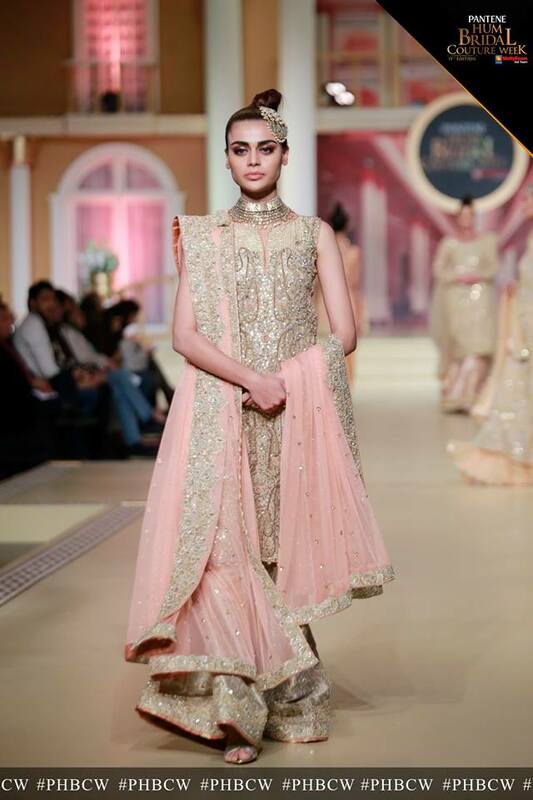 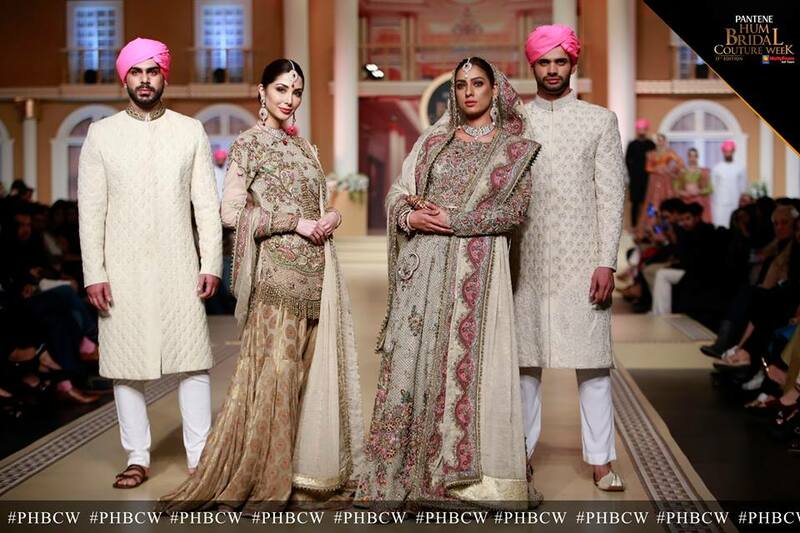 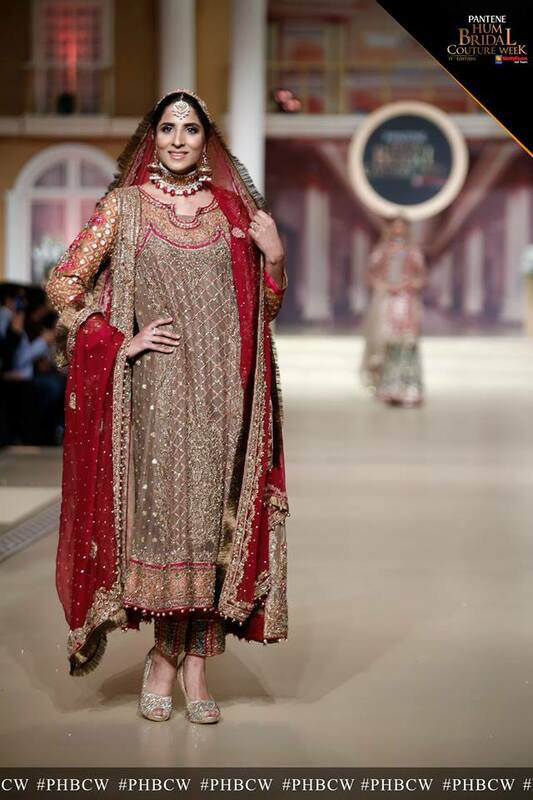 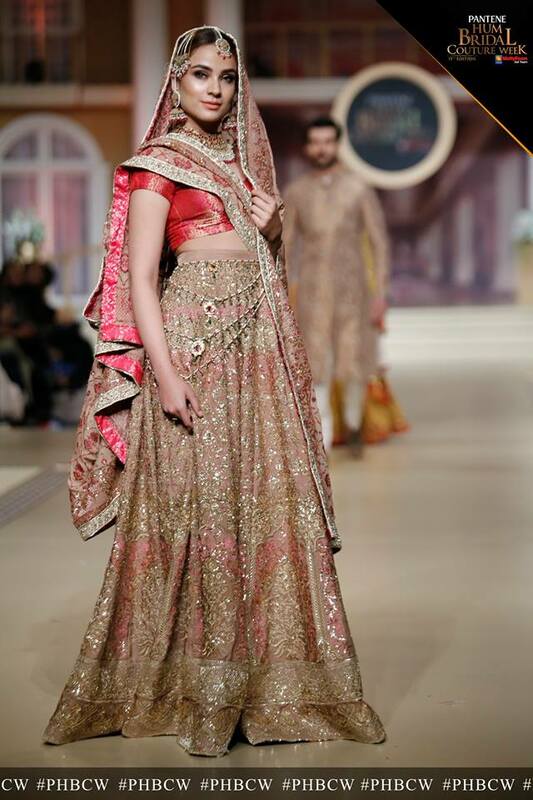 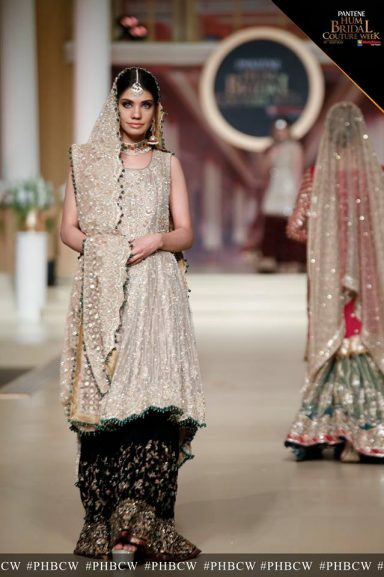 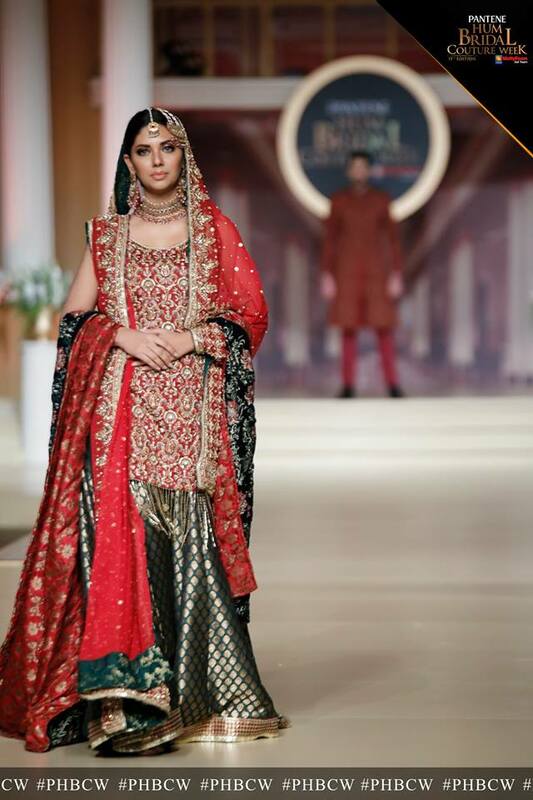 Fahad Hussayn’s bridal couture have always added extra charms to Pantene Hum Bridal Couture Week. 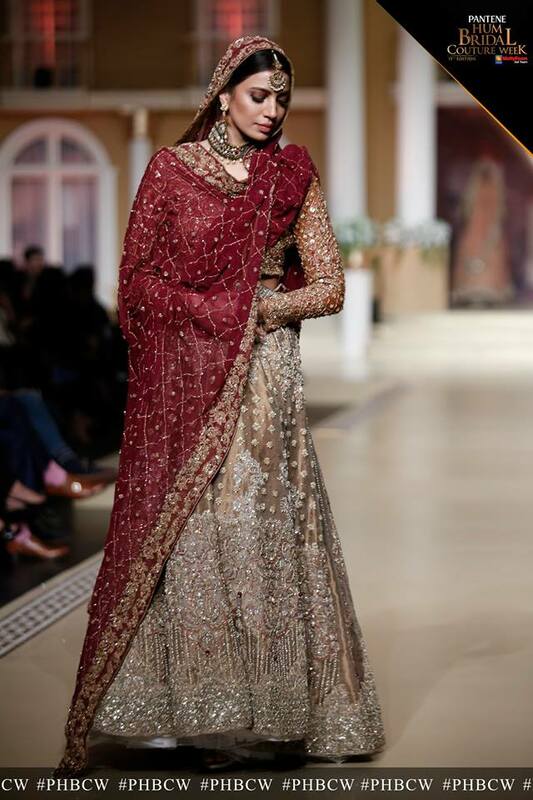 But this year, his work was beyond amazing. 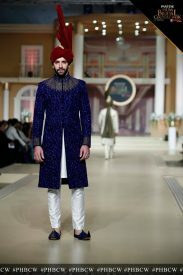 The entire bridal collection was dedicated to the theme of classic movie “Arth” which gave it a name “ARTH Novelty Couture 17/18. 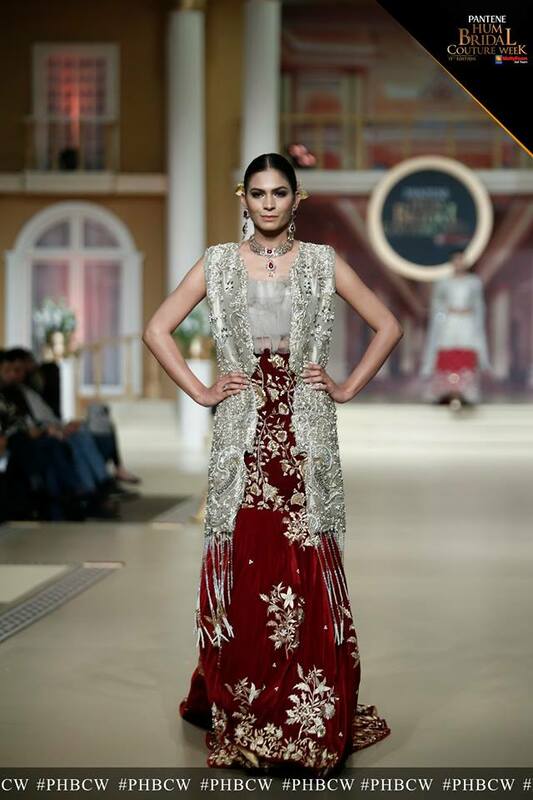 This collection was an amazing amalgamation of delicate lacework, crafted with great skills. 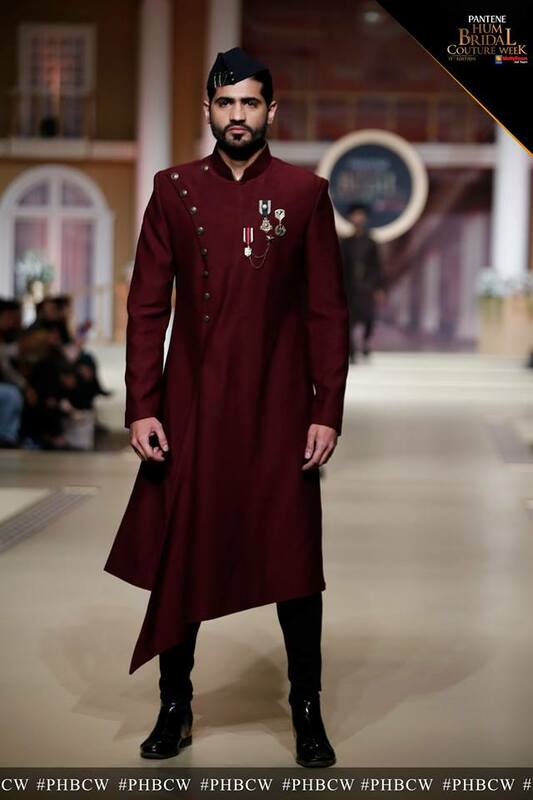 He focused on the revival of Pakistani traditional architecture and mixed the idea with his majestic detailing using vintage prints and hand-painted designs. 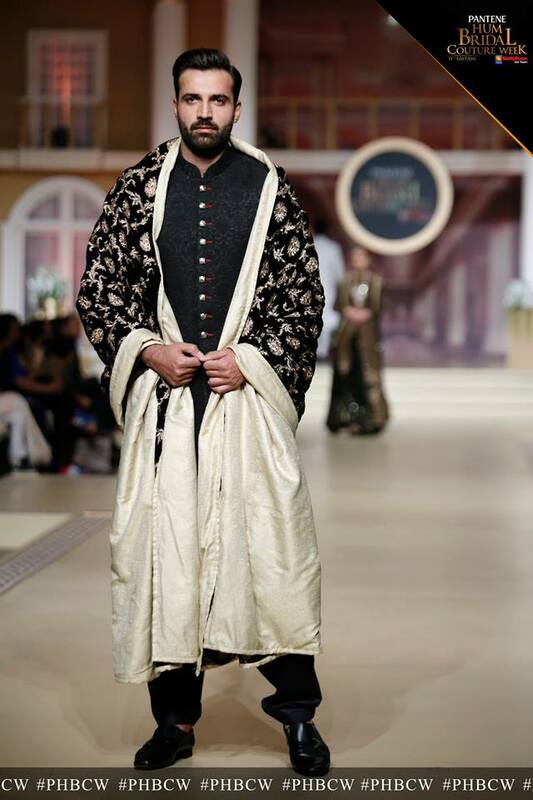 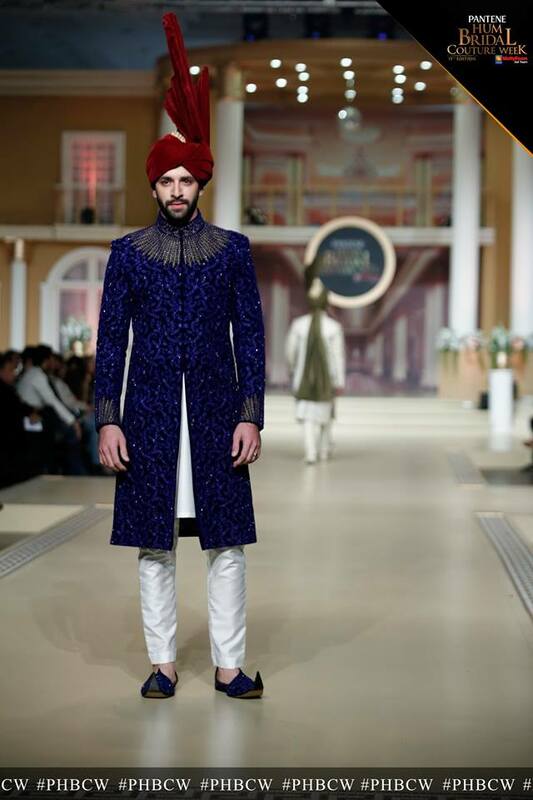 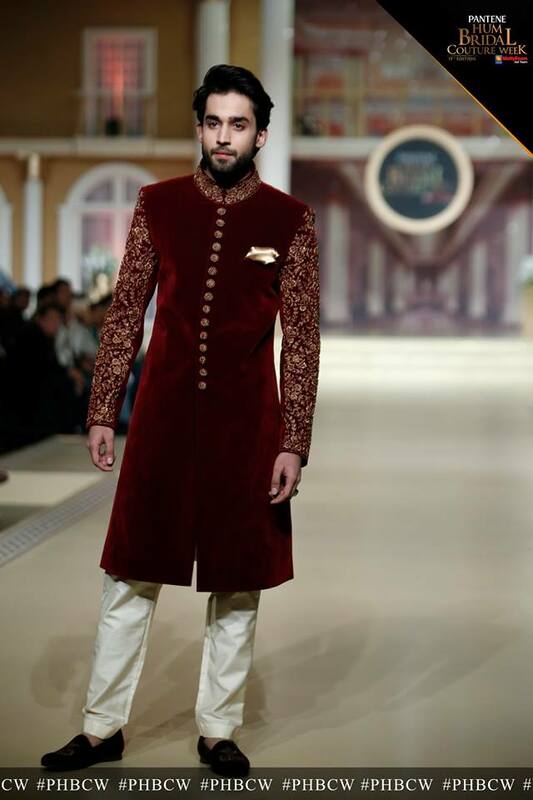 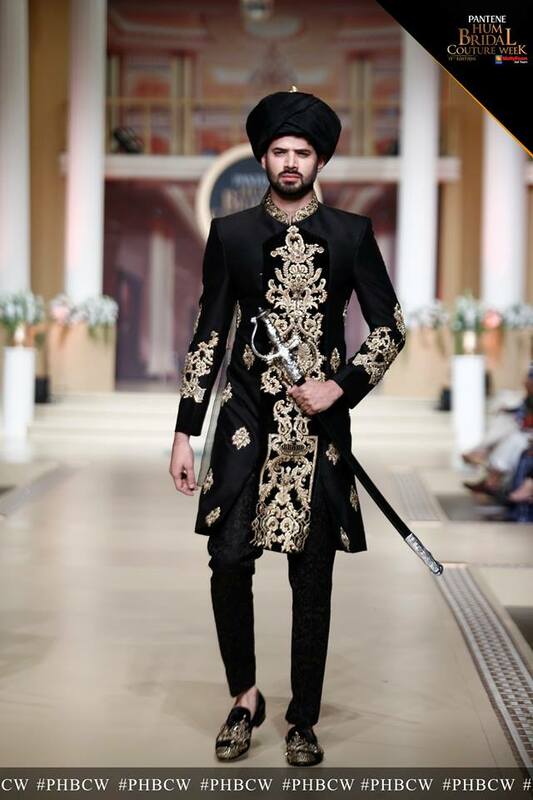 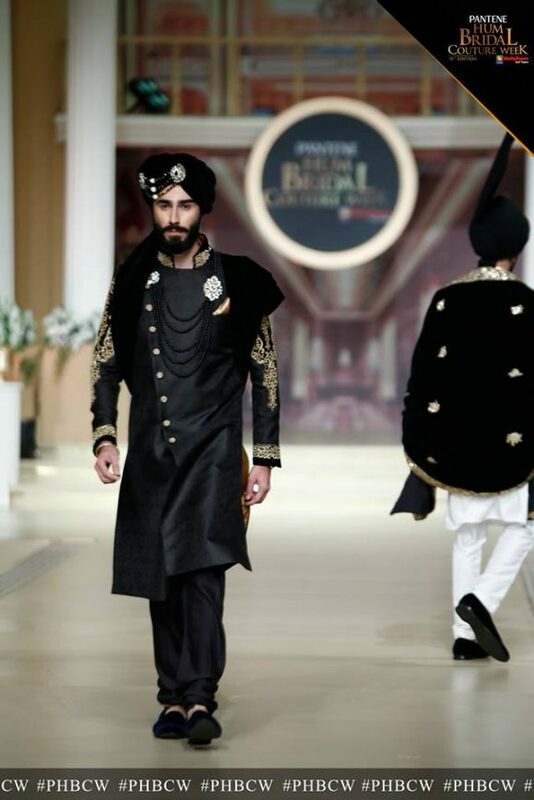 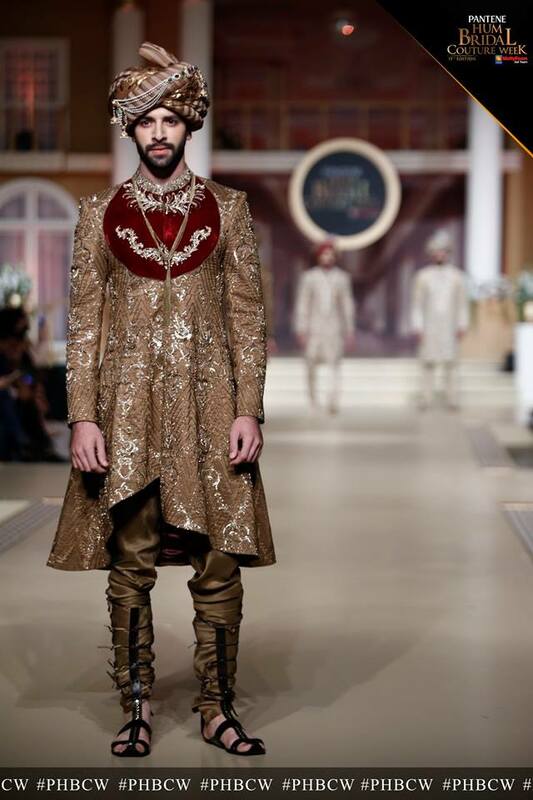 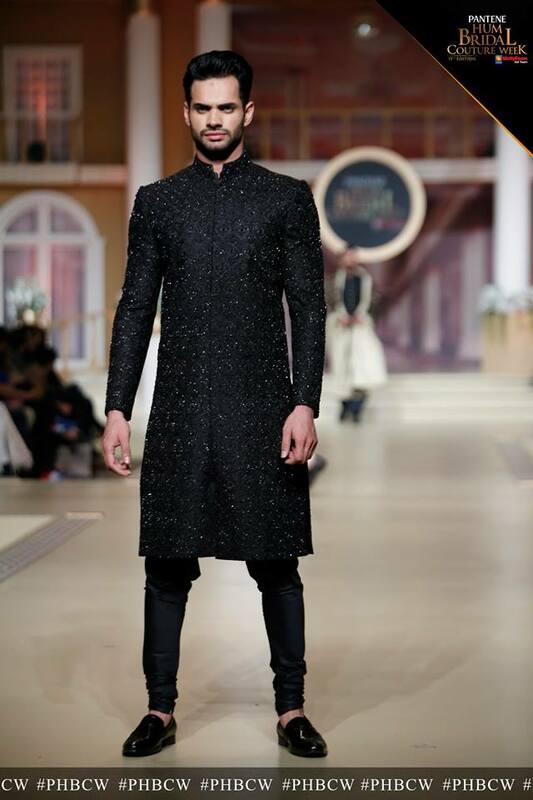 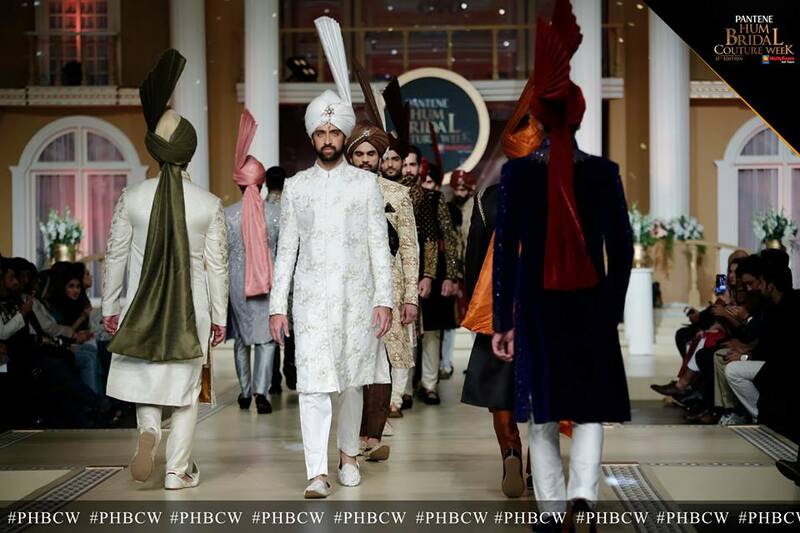 From the selection of the palate to the depth of embellishments, his bridal collection was indeed novel in style. 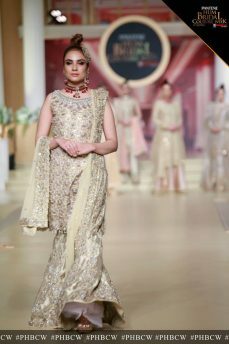 Mifrah stepped into the Pakistani fashion industry in 2001 and ever since then she has earned a great reputation as a creative designer. 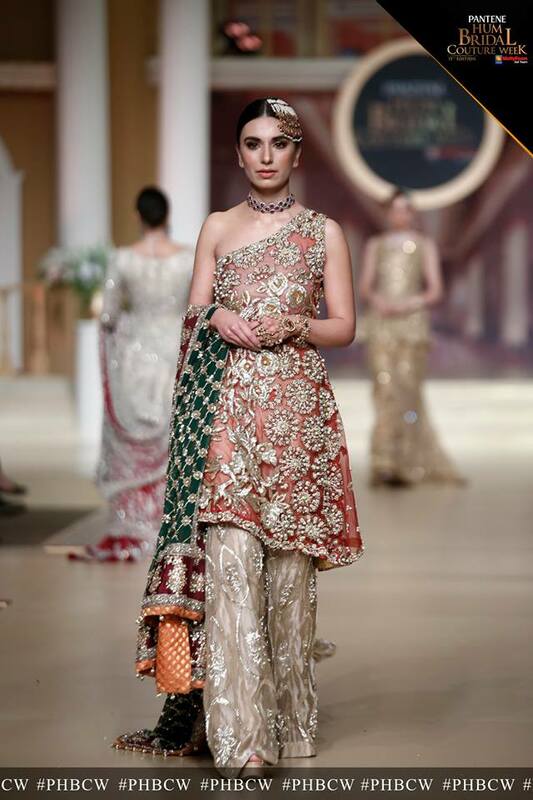 This year, she brought soft colours with rich embroideries to the fashion ramp. 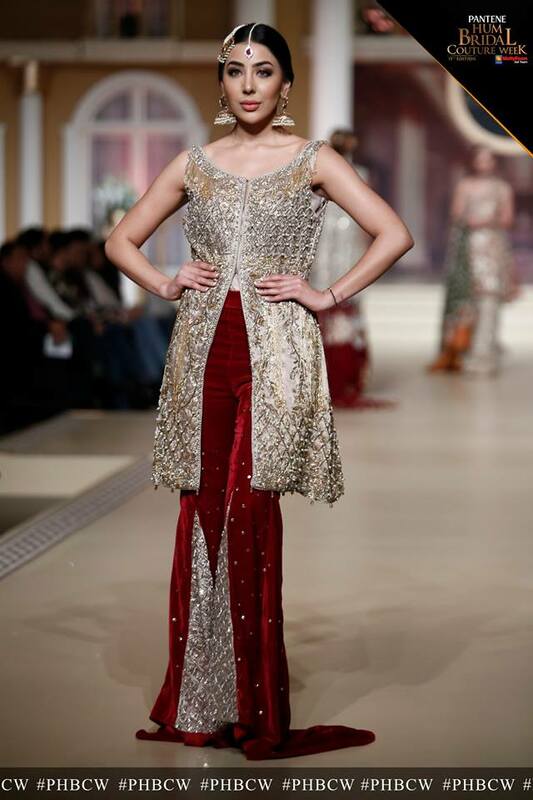 Her use of sequins with pearls has created such a fascinating display. 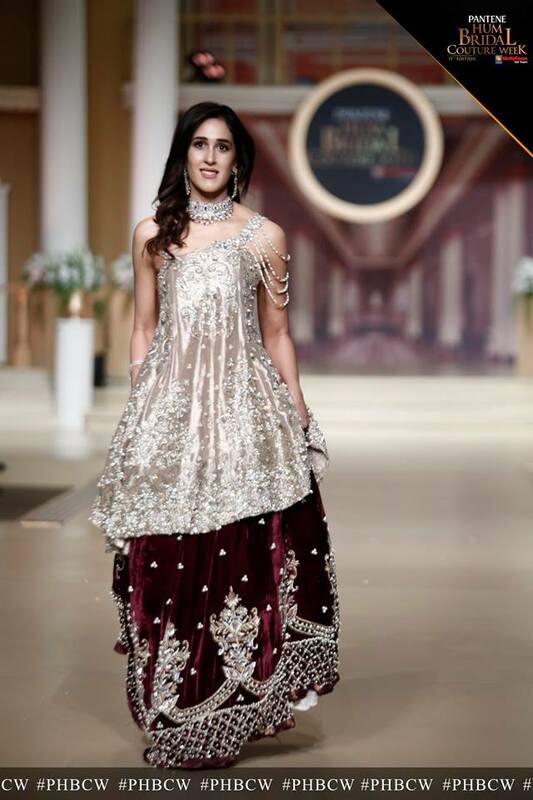 It was a perfect balance between gleam and glitter. 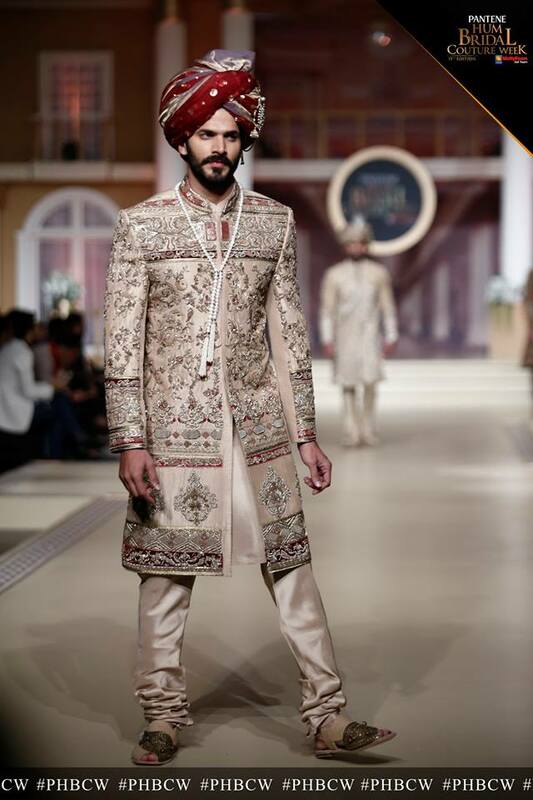 A mix of traditional work with the ultimate modern cuts and stitches. 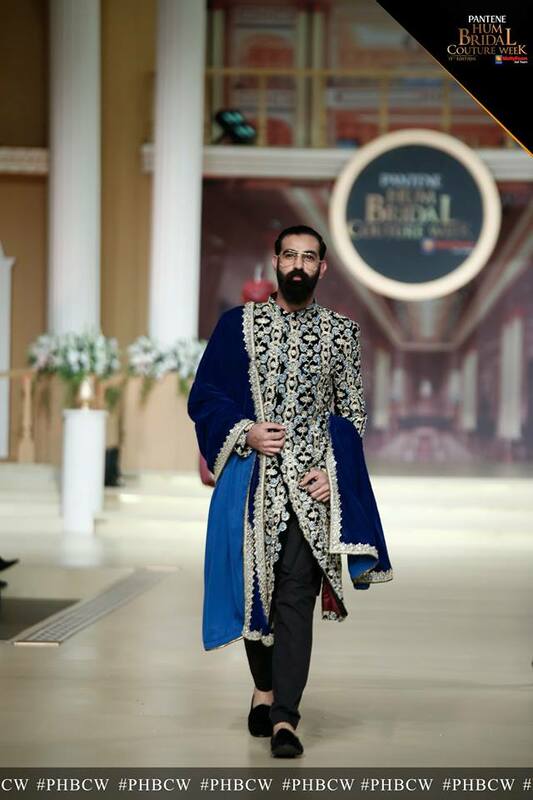 With “Poshak” Humayun Alamgir brought the delights of Banarsi fashion up to the floor. 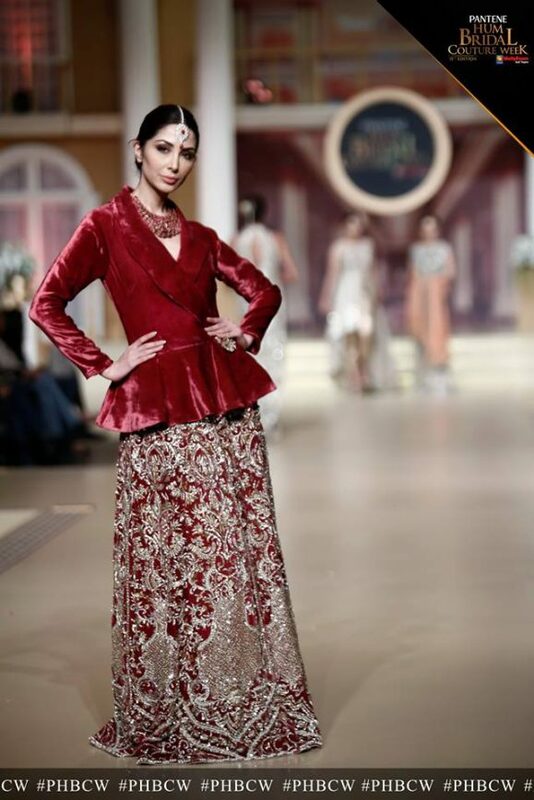 It was a perfect combo of velvet with Banarsi fabrics. 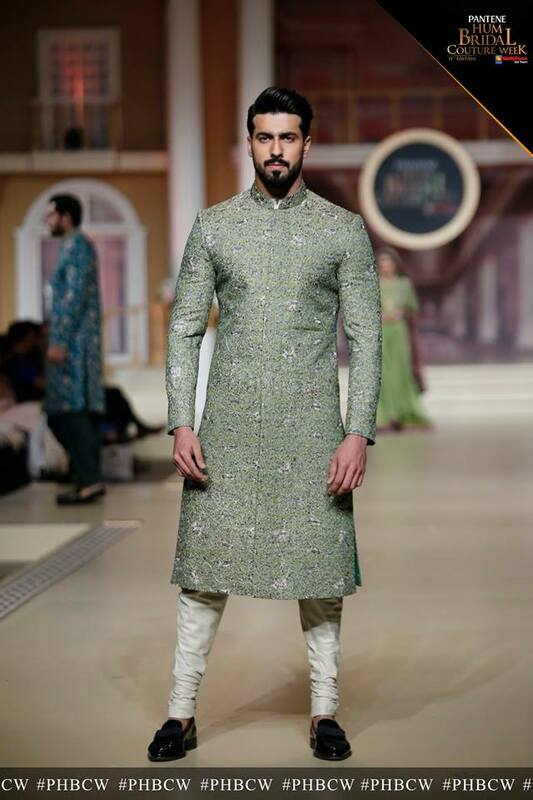 Sophistication mixed with hints of hues made the day for most of the spectators, making “PoshaK” the best of the menswear for wedding functions. 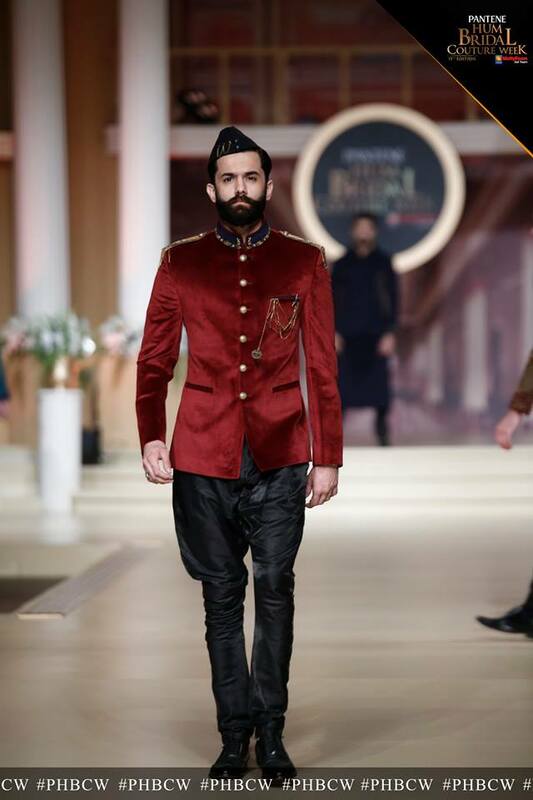 The ease and comfort which came with the collection is perfect for the modern men, whereas the designing was completely inspiring. 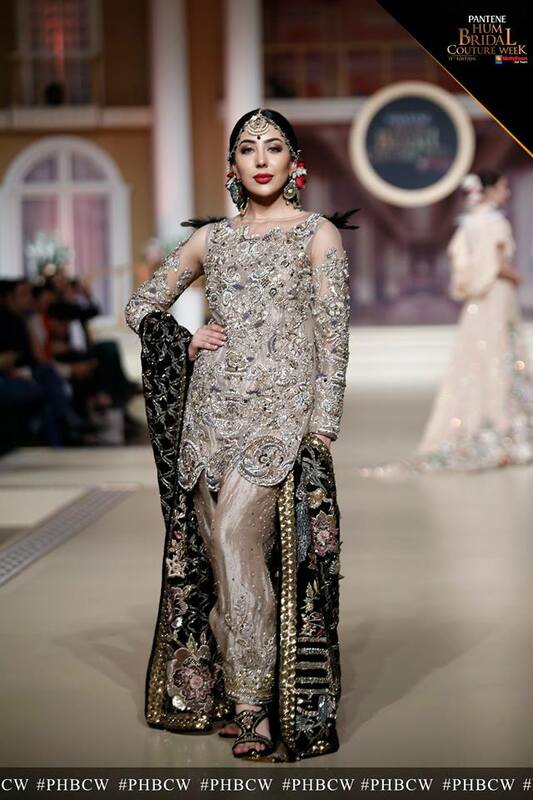 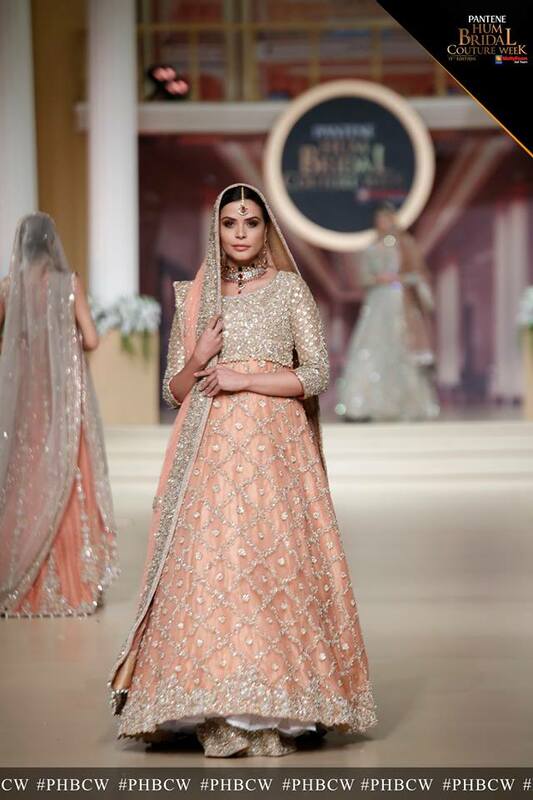 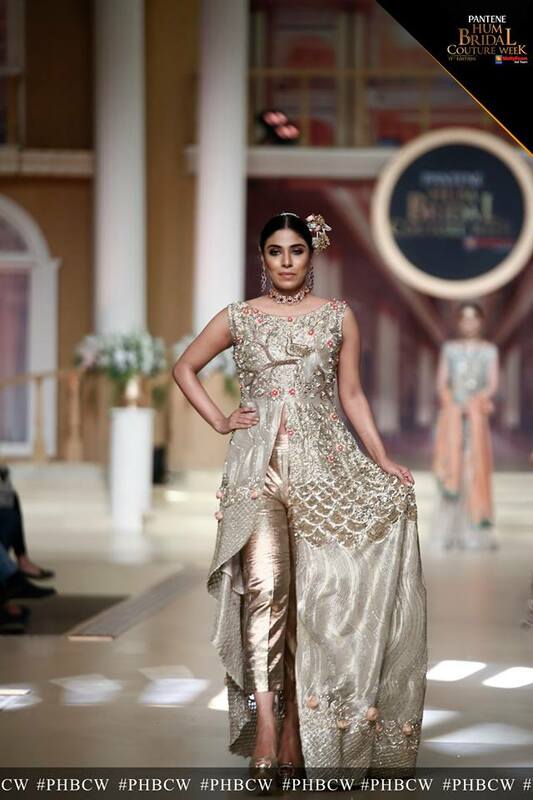 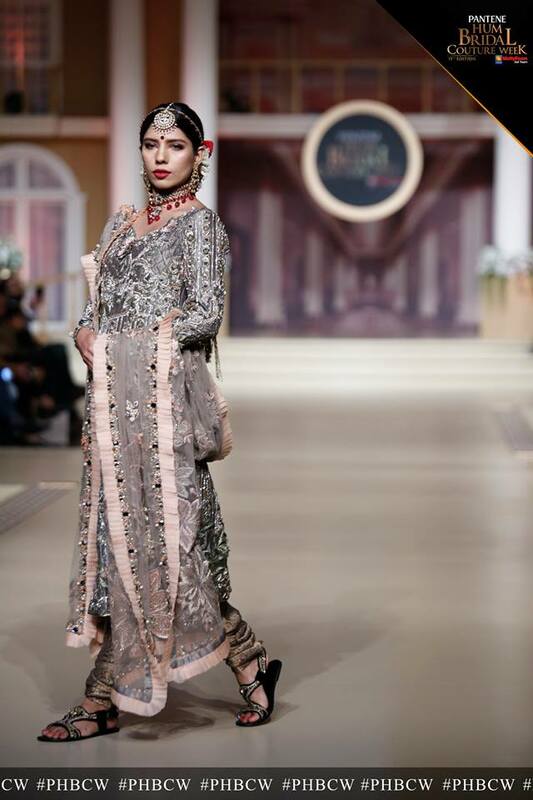 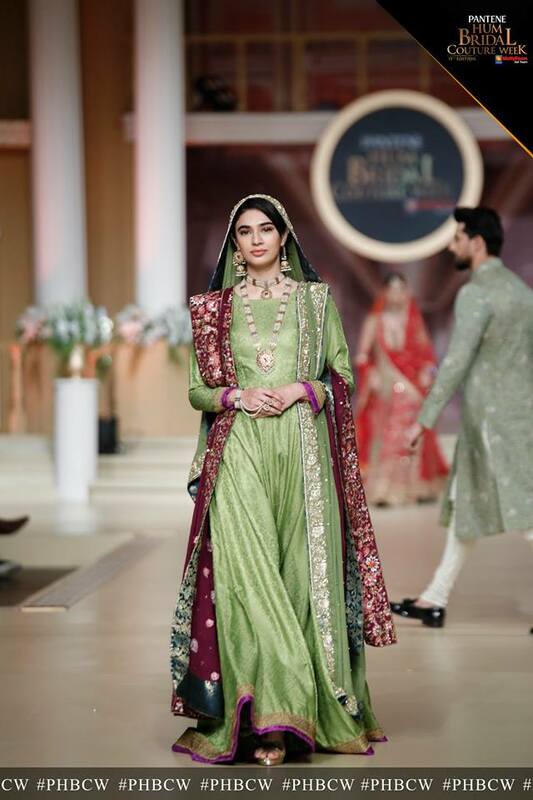 Reema Ahsan unfolded the true beauty of a Pakistani Bride with the here delightful collection “Je Suis Belle.” It entirely consisted of hand-woven fabrics mixed with delicate embroideries, making each dress a dream come true for the bride. 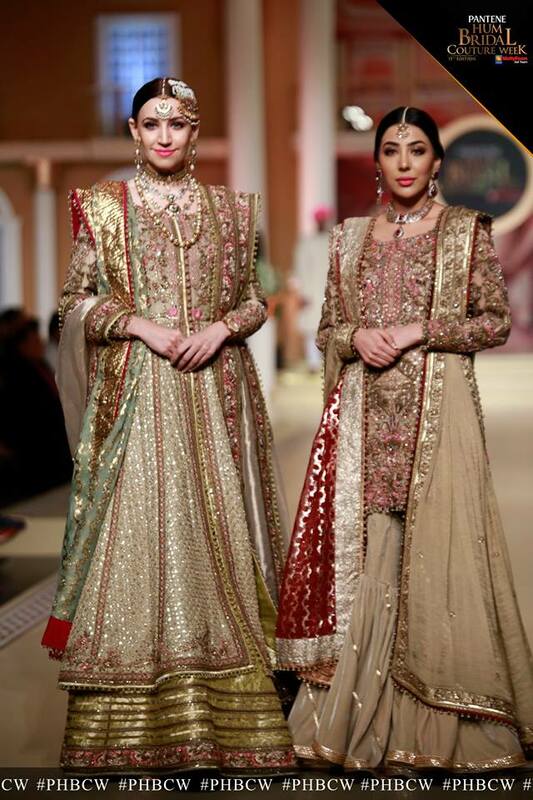 The sheer elegance of these dresses was simply impeccable and redefined the symmetrical embroideries of the past. As the name tells it, “Jahan Ara” was the ultimate desi Women collection, which displayed the true colours of traditional weddings. 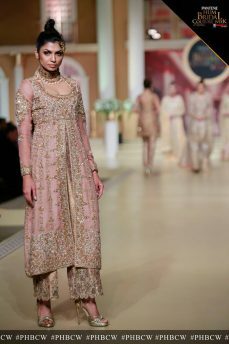 The collection incorporated the contemporary styles of embedded embroideries and textile designs. 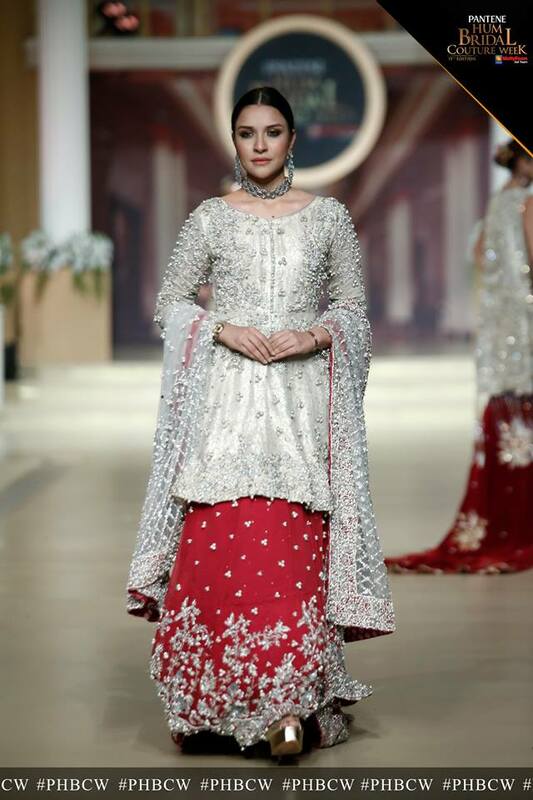 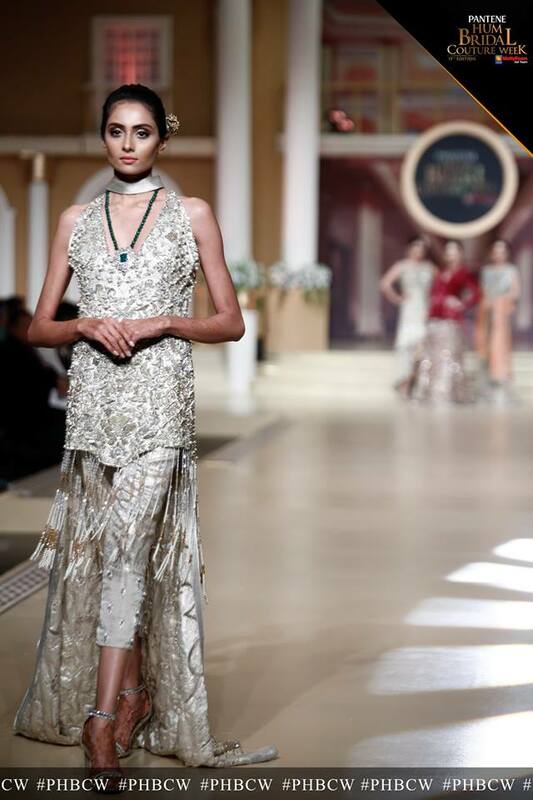 Aisha Imran’s selection of a soft and neutral palate did make her collection mesmerizing. 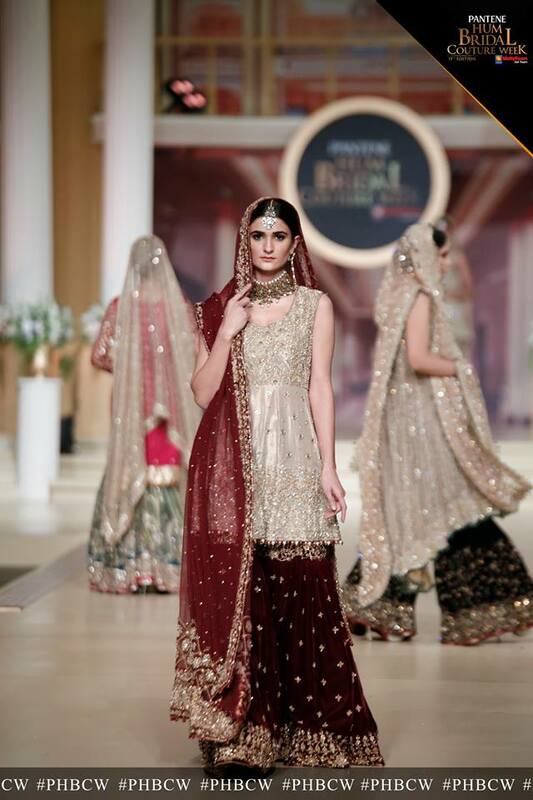 Moreover, the vibrant jewel work sparked an amazing contrast in each dress. 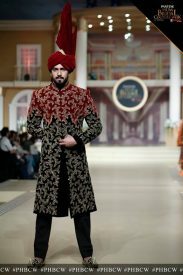 Looking at this collection will make you travel through time to the Mughal era with the awe-inspiring aesthetics filled with details. 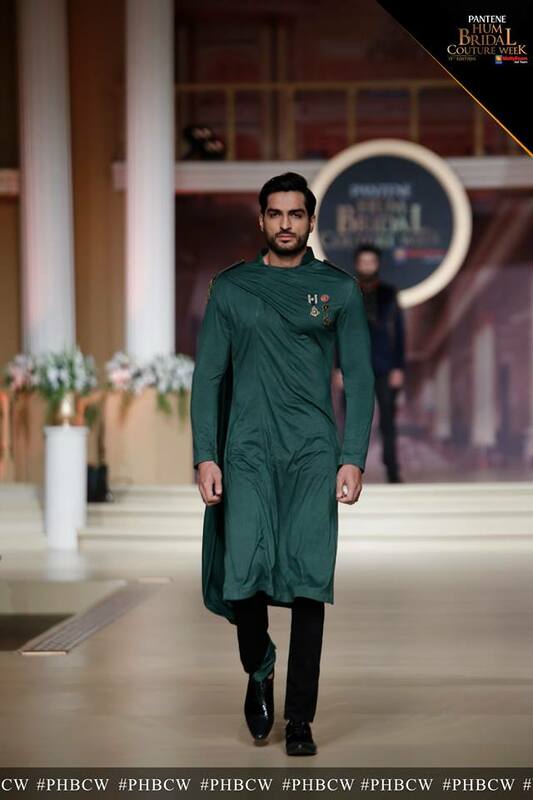 When it comes to menswear, Faris gave a world full of options and the collection touched the most inspiring theme of all. 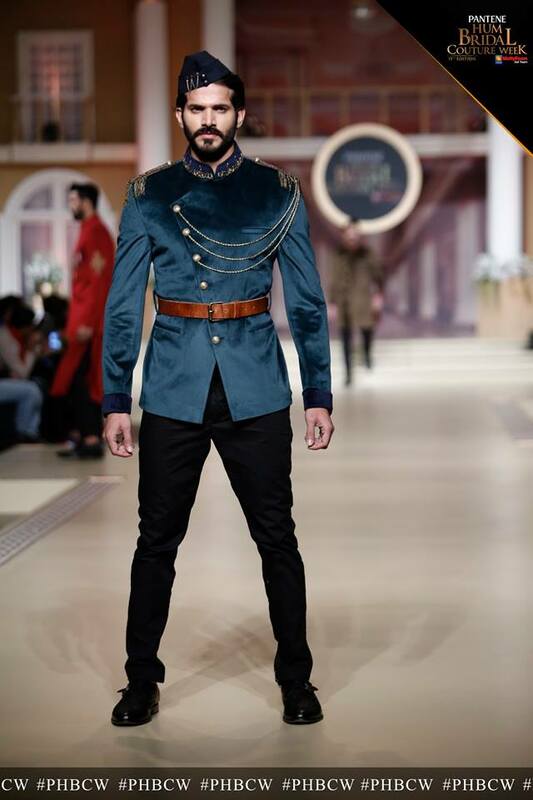 As Faris literally means “A Valiant Knight” it depicted the true forms and colours of the 16th-century military attire. 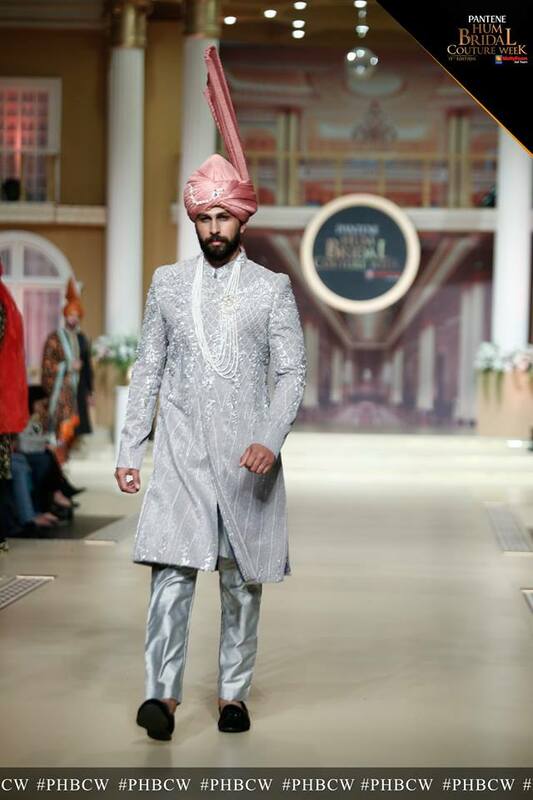 Ziggi took a new turn towards a heroic representation of the groom’s couture and it was worth all the appraisals. Mohsin Naveed Ranjha has also added the charms of his work to the show with his collection “Gulab Sandesh”. 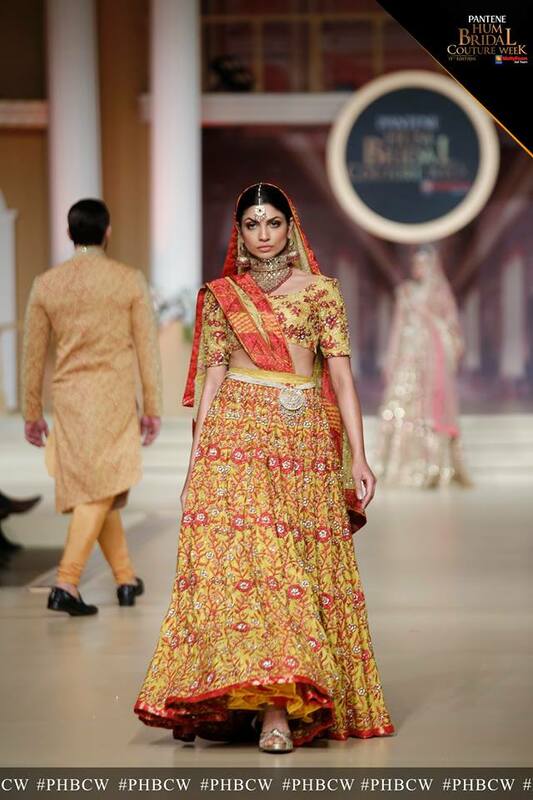 As the names indicate, the embellishments used for the dress highlighted the flora of the ancients Mughal era. 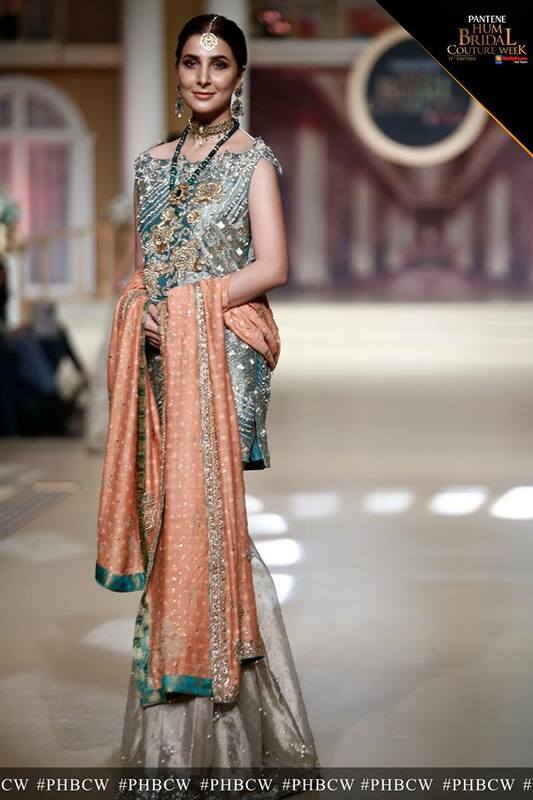 He incorporated the mildest green, gleaming silver and softest peach into his collection. 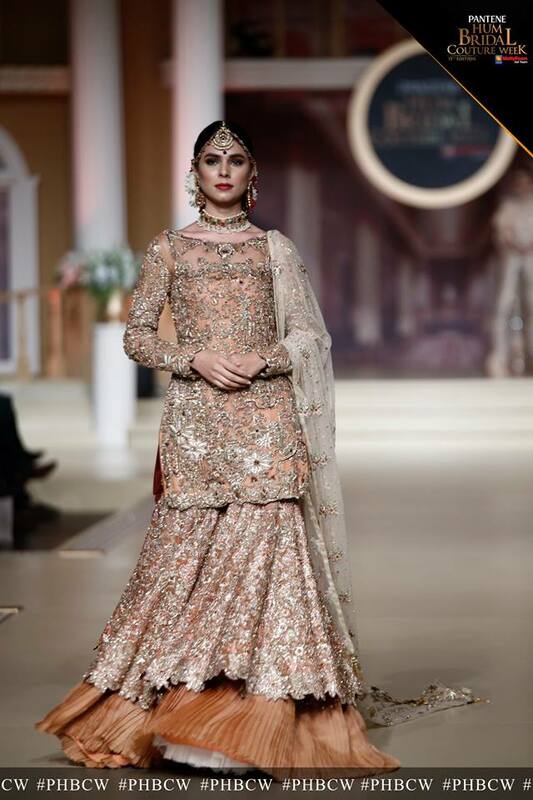 The idea was to bring in the “feels” of a Maharani for each bride who gets to wear the finest masterpieces out of his collection. 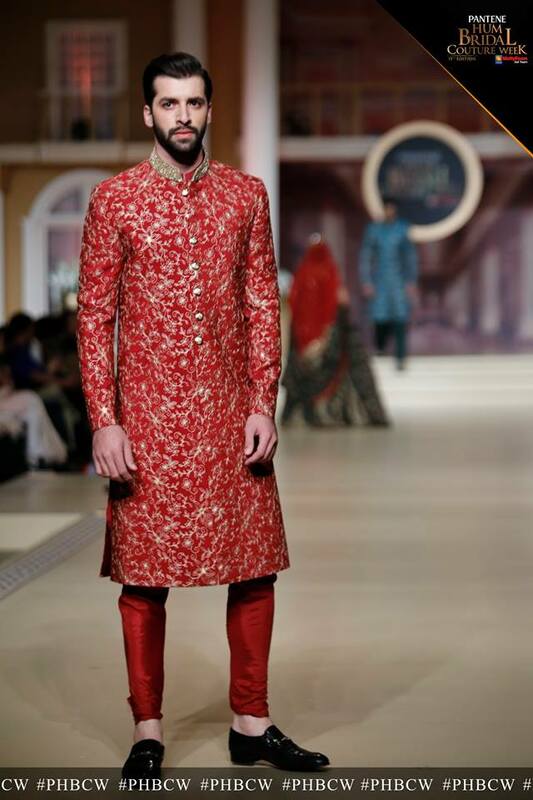 The day does not end without the boost of “Deepak’s” finest fashion ensemble. 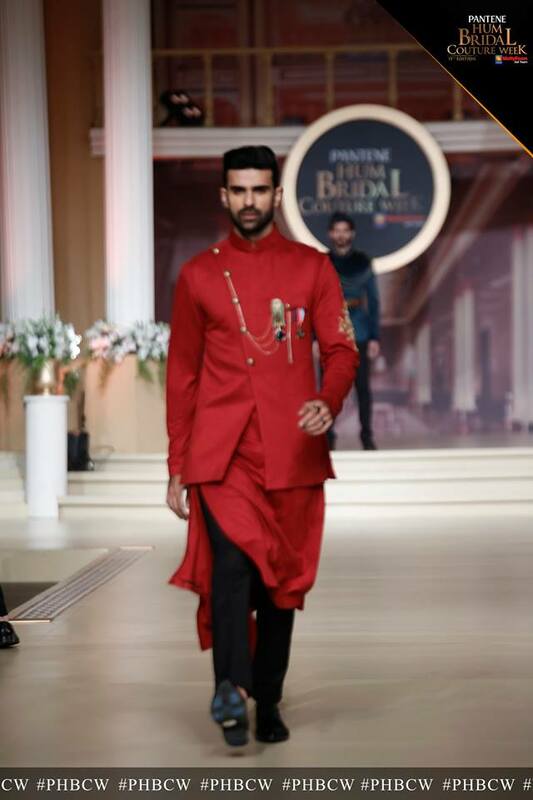 The collection was named “Shataabil” which had the combined touch of Turkish Persian and Indian culture. 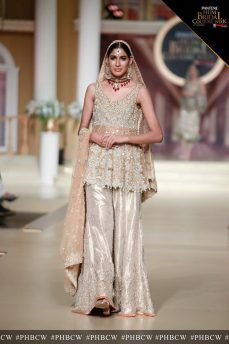 It had the most amazing amalgamation of festive colours and enthralling embellishments. Bright colors and fancy embroideries uplifted the mood of the entire show and brought it to a great end. The first day came to an end with the most breathtaking performance by the talented “Zoe Viccaji”. 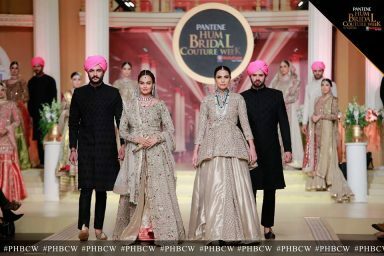 Her soulful voice moved everyone’s heart away and left everyone with the anticipation for the next show of PHBCW day 2.